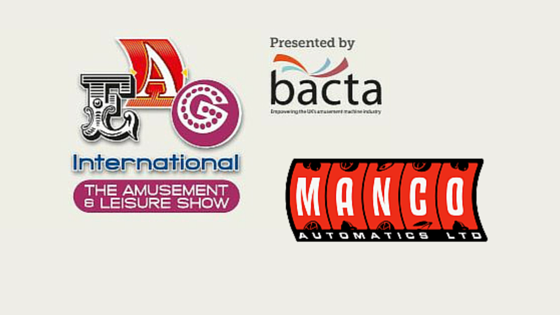 The EAG is our industry’s biggest exhibition. Held in January, it is the event that anyone seriously intending to remain on trend and relevant in our industry, must attend. Scheduled early in the year, to allow seaside amusements operators to complete orders and take deliveries in time for the new season, the EAG helps us all hit the ground running for the New Year. We at Manco have been attending the EAG for many years now and, as manufacturers regularly time the release of new equipment to coincide with the EAG, it has often been here where we have had first site of the equipment that we bought early, to keep us ahead of the game. This year, as well as looking at the new releases of Cat C, B3 and B3A, pub and club machines, we will be talking to coin and note validator manufacturers to discuss the up-coming release of the polymer £5 banknote and the new £1 coin. Though we will be going to the exhibition with a To-Do-List in hand, it is also important to go with an open mind, because the ability to spot the next big thing and be brave enough to make an investment is an essential skill. Finally, during the exhibition and afterwards in the evening, as well enjoying an away day in London, we’ll also be keen to make acquaintances with potential new customers and suppliers. Away from their office, pub, club or bingo hall, this is one of the few times in the year that people in our industry put down their tools and open themselves up to quality networking and seeking out genuine innovation. We’ll be keeping you up to date across all of our social media channels with plenty of tweets and posts alongside a series of blogs on the event. So, as long as the EAG continues, it will remain the most important date on the Manco Calendar.